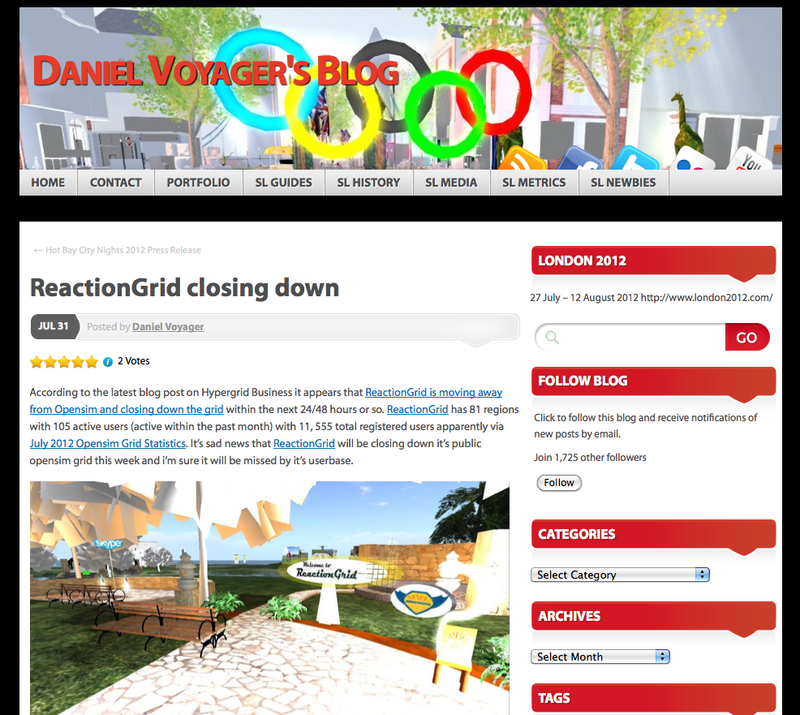 Reaction Grid is closing. Too bad, even though I had not been able to do much there–which is probably my own fault for not trying harder. It’s too bad because it puts a lot of people in a position of looking for new space, but I think the good news is that there are other options, I am just not up on the newest. 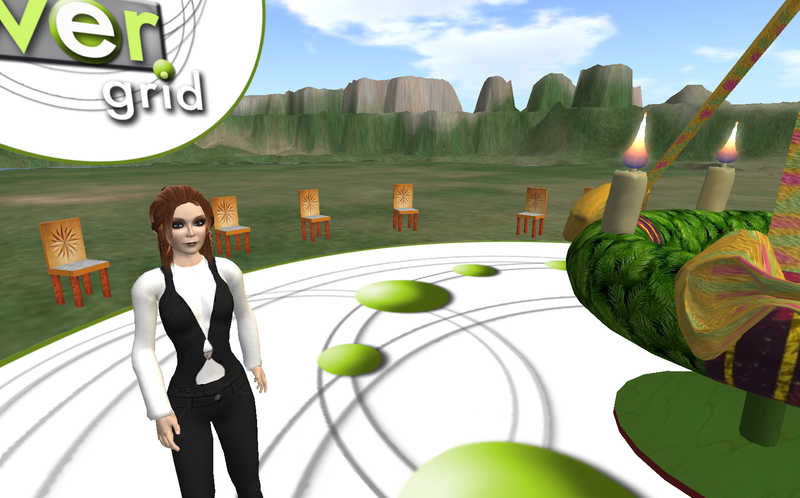 I haven’t done as much exploring as I would like because I am only able to get access to Second Life® at work, and that can be sporadic, with voice usually blocked. Without any kind of VW presence or interest at work, it’s hard to get into exploration, and there are no friendly instructions for joining new VWs. Every time someone recommends “simple” instructions, they don’t work as suggested. Exploration would work better if I had someone sitting next to me, I guess. 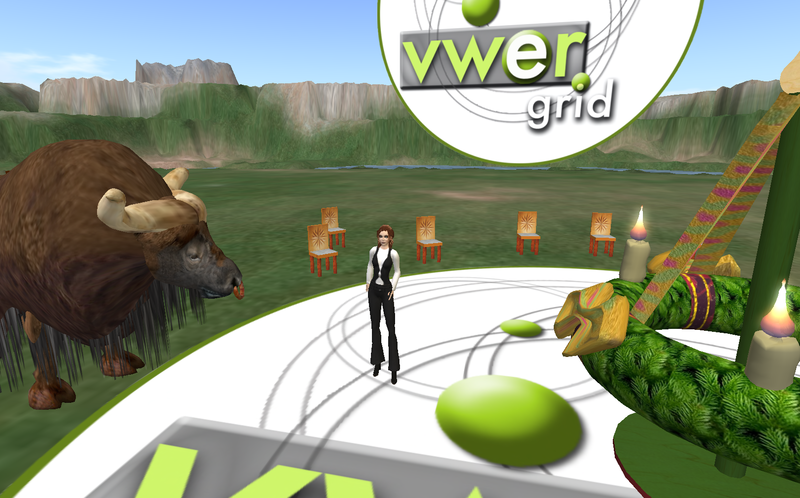 Yesterday, i went to ReactionGrid, where my avatar’s name is Grinn Squab (LOL play on Pidgeon), hoping to be able to grid hop to the new Virtual Worlds Education Roundtable grid (VWERGrid), but something went awry–plus I had the time wrong. I had failed to figure out the UTC time in my own zone. I tried to teleport there from the ReactionGrid, anyway, but it didn’t work. Sigh. 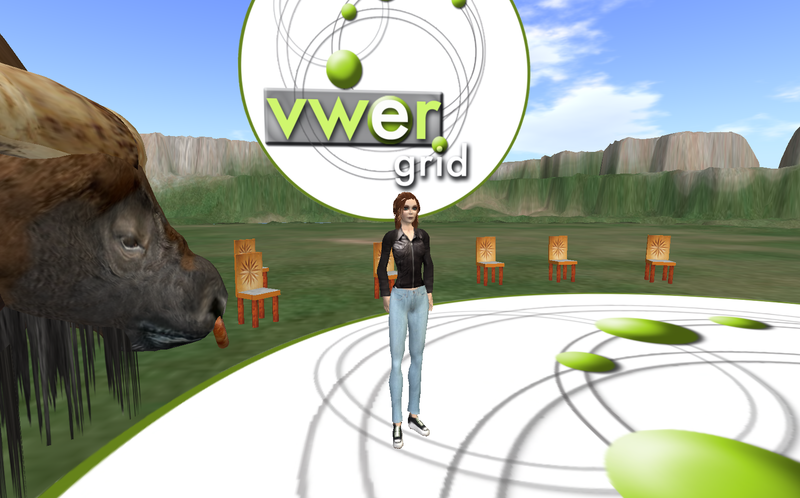 Can’t currently login to ReactionGrid on campus, so I’ll try it again at home, and even if I can’t get to the other grid, I’ll bring back some snapshots, so you will believe that there really are other VWs out there.